Trump on Friday posted an edited video featuring a portion of Omar’s remarks at a Council on American-Islamic Relations event last month in which she discussed the civil liberties of Muslims in the United States, arguing the entire faith should not be judged by the actions of Islamic terrorists. 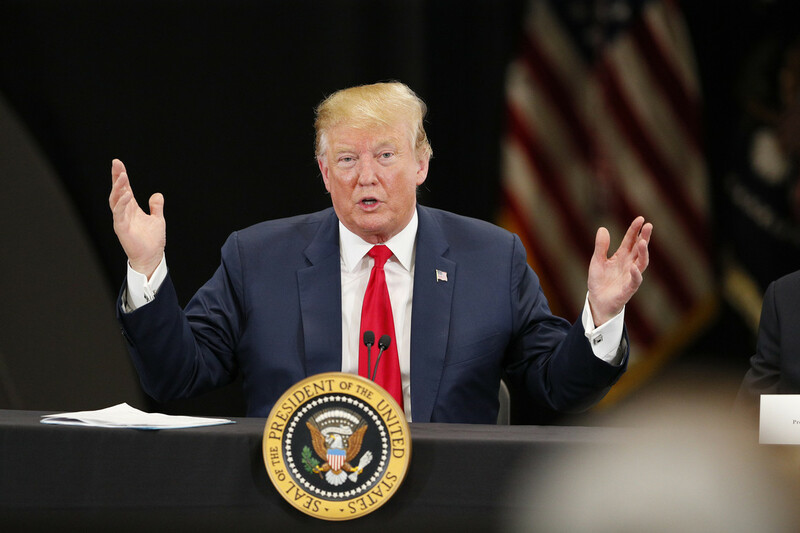 Republicans have attacked Omar (D-Minn.) over her remarks at the event, specifically her characterization of the 9/11 attacks as “some people did something.” The video on Trump’s account switched back and forth between Omar’s words and footage from the 2001 terrorist attacks. Democrats have been quick to defend Omar, and House Speaker Nancy Pelosi (D-Calif.) said over the weekend that her team was working with U.S. Capitol Police and the House sergeant-at-arms, “conducting a security assessment to safeguard” Omar and her family in light of increased threats against the congresswoman. In a statement Sunday, Omar said that many of the “direct threats on my life” referenced or were in reply to Trump’s video. Omar’s allies have warned against the kind of antagonizing rhetoric being used against one of the first Muslim women elected to Congress.